No matter the industry you’re in, a quality compact loader can be one of the smartest investments you’ll make. 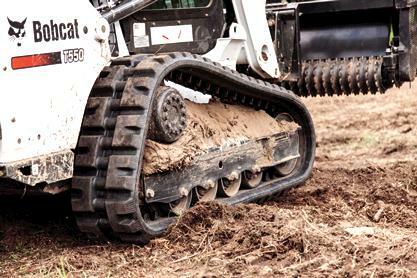 If chosen with your work in mind, a quality skid-steer, all-wheel steer or compact track loader will become more than just an auxiliary piece of equipment — it can provide a high return on your investment by tackling a variety of projects, from loading dirt and lifting pavers to installing irrigation systems and unrolling sod. Today’s compact loaders are more powerful and productive than ever, and a growing number of attachments make them even more versatile. 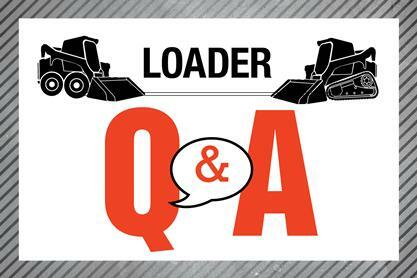 So, how do you know which loader type is right for your operation? Industry experts say the answer lies in making a thorough assessment of your applications. Once you know the kind of work you’ll be performing, there are some important considerations that should be factored into your decision, including an evaluation of ground conditions, climate elements and your total cost of ownership. Depending on your company’s size, you may be handling different tasks under different work conditions, which may actually dictate having several loader types in your fleet. 1. What type of surfaces are you working on? The first step in assessing all-wheel steer loaders, skid-steer loaders and compact track loaders starts at ground level. If you know that you will be operating them on paved surfaces — such as streets, sidewalks, parking lots, driveways or hard-surfaced yards — it only makes sense to buy a skid-steer loader or all-wheel steer loader. Tires work well on these improved surfaces, and a skid-steer loader offers a lower initial investment. An all-wheel steer loader offers more turf-friendly performance with a design that allows all four wheels to roll through a turn, reducing potential turf damage or black marks on pavement, including driveways, sidewalks and parking lots. Rubber tracks are ideal when working on established lawns where ground surface sensitivity is particularly important, as turf replacement is costly and time-consuming. Unlike skid-steer loaders, compact track loaders have a tracked undercarriage that provides a lower ground pressure and improved flotation and traction. Tracks distribute the machine’s weight across a larger area than rubber-tire loaders, minimizing ground disturbance. Compact track loader operators should still be careful to make gradual turns versus making sharp turns — which can cause as much turf damage as when using a rubber-tire skid-steer loader, and can require sod replacement when the job is done. More ground-to-surface contact optimizes a compact track loader’s power and performance on rough terrain and soft, sandy surfaces. It also enables operators to easily push loads in these conditions with less chance of getting stuck. Compact track loaders are also ideal for fine-grading applications. Tracks are a definite plus when performing irrigation installation or hardscaping upgrades with their low 4 to 5 psi ground pressure. This means less concern about parting with profit or charging the customer extra for repairs after the job’s done. 2. What climate will you be working in? In addition to soft, sandy conditions, contractors often work in climates with wet and muddy ground conditions. For this reason, compact track loaders in many parts of North America have allowed some customers to extend their working seasons to generate days — and even weeks — of extra income. After it rains, companies with compact track loaders are some of the first contractors back on a jobsite due to the low ground pressure and traction provided this equipment. By getting back to work sooner, you will be able to complete jobs faster, thus maximizing your profitability. You may be able to recover the additional cost of a compact track loader in less time than you think. While it’s true that new skid-steer loaders typically have a lower initial purchase price compared to the same-size track loaders, it’s mostly because the tires and wheels for a skid-steer loader cost less than rubber tracks and their associated undercarriage parts. For example, a set of four skid-steer tires generally costs between $600 – $1,000 and their useful life ranges from 600 – 800 hours. With proper operation of the compact track loader, rubber tracks should last about twice as long as tires. Rubber tracks cost $3,000 – $4,500 per set and last approximately 1,200 – 1,600 hours. In addition to tires and tracks, there is yet another option that could provide a solution. Most manufacturers offer over-the-tire steel tracks as an accessory for skid-steer loaders to help owners increase their utilization of the machine when ground conditions are less than ideal. This style track setup costs around $2,500 – $4,000 for the most commonly used size of machines. Overall ownership costs for all of these types of loaders should also include a calculation of productivity and machine utilization along with maintenance costs. 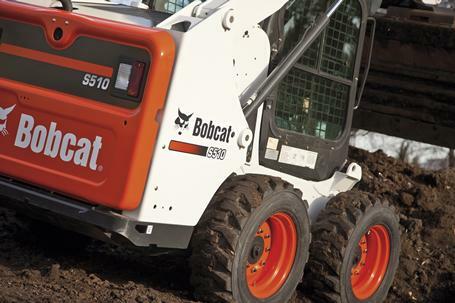 Matching the right compact loader to your operation starts from the ground up. Knowing the work you will perform, having a good understanding of the ground and weather conditions each loader type will succeed in and calculating your overall machine costs will make your decision easier. Armed with the right information, you can determine which technology will meet all your jobsite needs — or whether you need both.